We have seen some interesting articles and posts on the amazing things 3D-printing can do for rare medical conditions. But have you, like me, been wondering how this promising technology can benefit you, personally? How it can benefit lots of people, rather than just a few with serious medical conditions? Here is an example: you can have an ankle brace 3D-printed that fits your ankle perfectly! Significantly reduce the risk of a sprained ankle when running, playing soccer, volleyball, basketball, tennis, hockey, badminton, squash, etc. 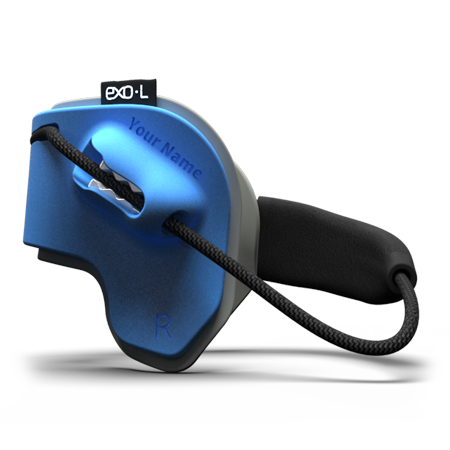 EXO-L, a company in The Netherlands, has developed an ankle brace that you attach to the outside of your shoe. It sits over your Achilles tendon and allows you to move your foot up and down freely but comes into action when you are at risk of spraining your ankle. The process starts with a 3D-scan of your ankle, which is then sent to state-of-the art 3D-printers. To make it even more appealing, the company lets you choose from 9 different colors and you can have your name or logo inscribed. The cost is EUR199. Sadly, the EXO-L External Ankle Ligament appears to only be available in The Netherlands at this time.